Product categories of Socks Machine, we are specialized manufacturers from China, Socks Machine, Cotton Socks Machine suppliers/factory, wholesale high-quality products of Silk Socks Machine R & D and manufacturing, we have the perfect after-sales service and technical support. Look forward to your cooperation! Socks Machine is designed for knitting socks. And it is including pairs of socks,ankle-length pants and body stocking. It meets requirements of all variety of socks. The safety system, equipped with air compress controlling unit, auto lubrication alarm unit, and auto overloading stop unit, prevents the damage to the machine and keeps the worker safe. The key parts, such as bearing, magnetic valve, synchronous belt, needle and spline, etc. 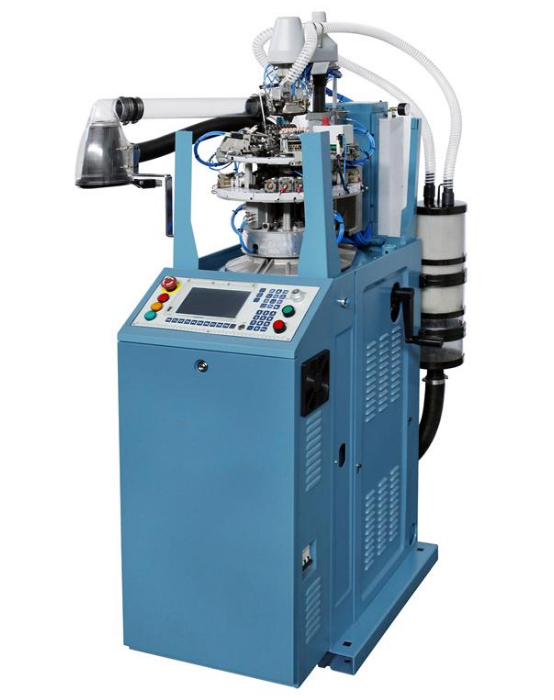 use the world class supplier`s first-rate product, assembled by the experienced worker under the SOP strictly, so the machine is a low noise, stable and long life cycle. Besides socks machine, we also provide Twisting Machine, rotor spining machine, Assembly Winder Machine, Seamless Machine, Circular Knitting Machine, looms and so on.